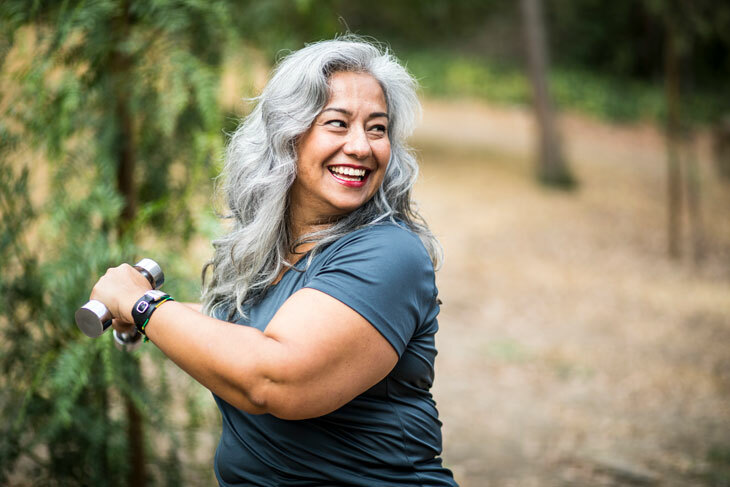 A recent study of physically active older adults, published in The Journal of Physiology, confirms that those who are physically active can decrease their risk for these conditions, but also maintain a physiological profile that is much younger compared to the general population. Not only does exercise prevent diseases and increase heart health, but it has also been linked to improved mental health. Because exercise increases endorphins-- the "feel good" hormone in your brain-- you will often find you will leave an exercise session feeling happy, satisfied, and energized. Exercise is an excellent conduit for improving sleep issues and can offer a more restful sleep. According to Psychology Today, exercise can strengthen circadian rhythms, promoting daytime alertness and helping bring on sleepiness at night. Exercise has been shown to improve sleep for people with sleep disorders, including insomnia and obstructive sleep apnea. Another core benefit of exercise in older adults is a decreased risk of falls. As the body ages, muscles and bones deteriorate over time. If you live a sedentary lifestyle, it will only speed up this process, leaving you prone to falls later in life. By incorporating an exercise regime into your daily life, you increase the amount of time you spend moving certain muscles and bones and, in turn, improve your stability and balance in addition to all of the aforementioned benefits. Similar to the way exercise can help to stabilize and prevent falls, regular physical activity has also been shown to improve cognitive function like fine-tuned motor skills. Many studies show that there is a correlation between exercise and a lowered risk of dementia. Not only is an exercise is a great way to improve various physical attributes, but it also offers an opportunity to increase social engagement. Many seniors suffer from loneliness. Exercise classes or clubs provide an opportunity to interact with other like-minded individuals. Participating in group exercise activities can help seniors feel a sense of purpose and decrease feelings of depression and loneliness. A question that is frequently asked regardless of age is “how often should I exercise?” While the answer may differ from person to person based on individual needs and goals, organizations such as the Centers for Disease Control and Prevention (CDC) and the American College of Sports Medicine (ACSM) publish general guidelines for people to follow in order to promote overall health and well being. Both the CDC and ACSM recommend that individuals engage in at least 150 minutes (2 ½ hours) of moderate-intensity aerobic activity per week AND muscle-strengthening activities that target all major muscle groups on at least 2 days per week. 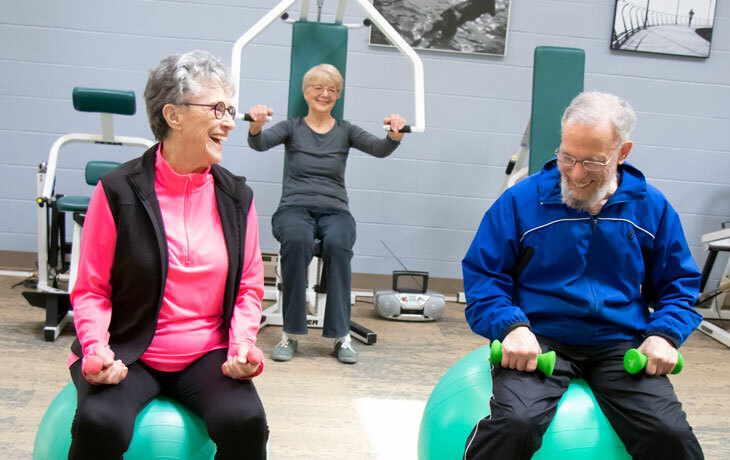 It is also important to engage in activities you enjoy; whether it is a walk through the woods, taking a water aerobics or yoga class, or going for a bike ride around town. So how does one stay active and young? Make physical activity a part of your daily life. Doing so not only decreases your risk for developing chronic medical conditions, but it also keeps you feeling young and healthy—well into your later years.